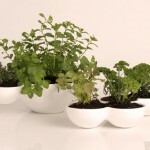 Dos Gotas / Cuatro Gotas are ceramic bowls designed by Enessentia that can be used for growing herbs or as centerpieces. Aptly named Duo Gotas (two drops) / Cuatro Gotas (four drops) were inspired by the summer rain. 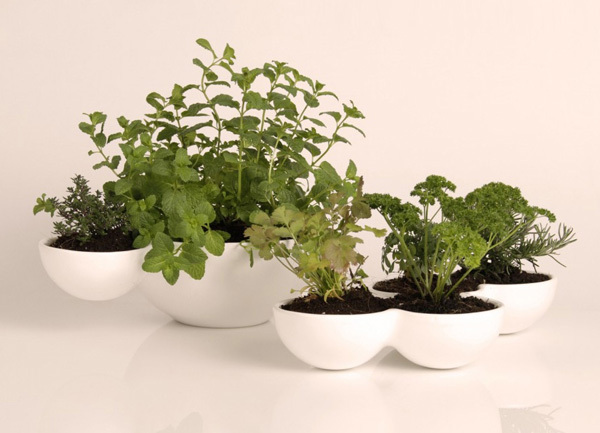 The Gotas bowls can be used to grow herbs or they can function as centerpieces. 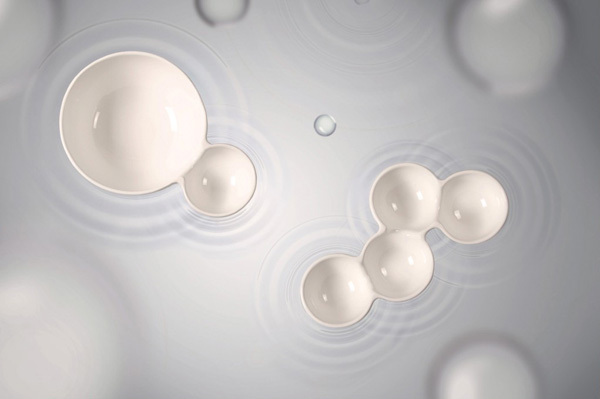 Gotas consist of two or four bowls merged with each other. 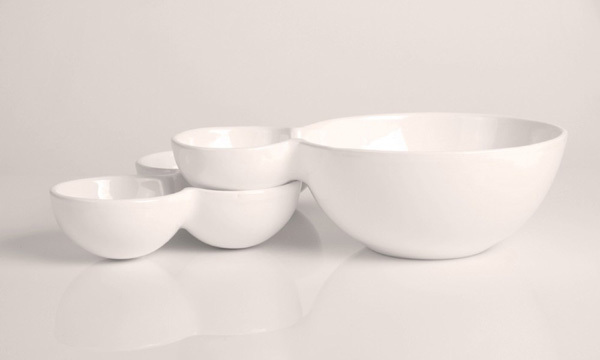 The Dos Gotas has one bigger bowl that is merged with a smaller one while Cuatro Gotas are all small. 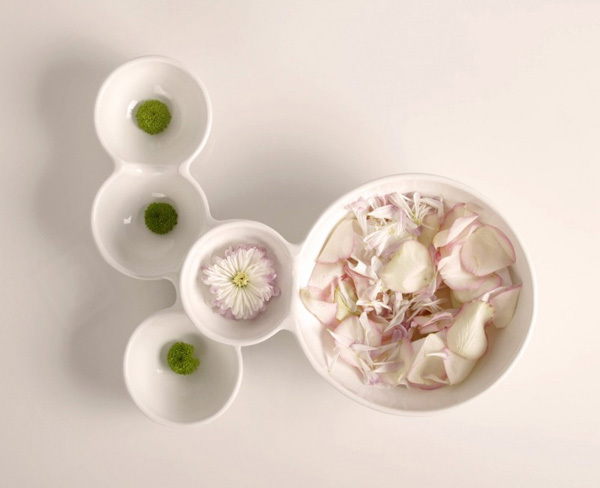 Both bowls can be combined together for a statement centerpiece. Filled with flowers, leafs, and cones it can become a spring season centerpiece. What do you think about Dos Gotas / Cuatro Gotas?